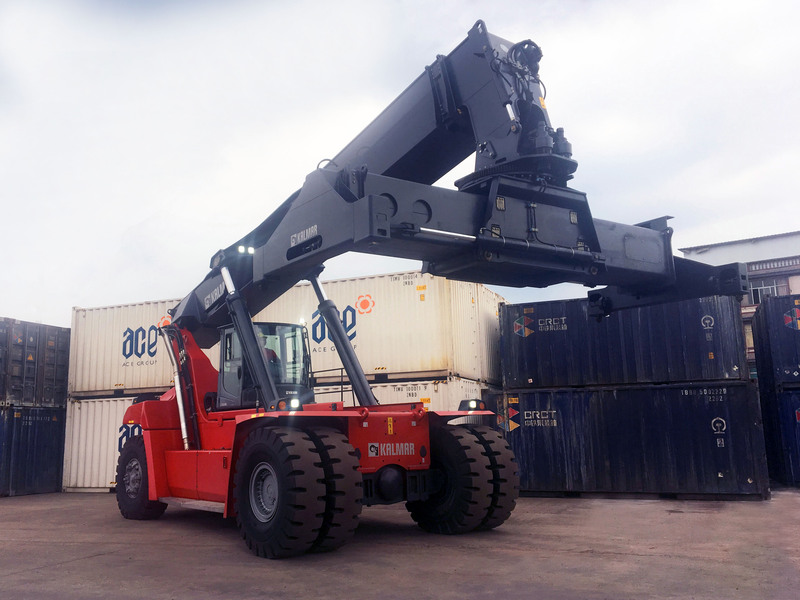 Kalmar, part of Cargotec, has received the first order of Gloria reachstacker with K-Motion Technology from Kunming Tianfu Logistics Co. Ltd. in China. The order was booked into Cargotec's 2017 third quarter order intake with delivery scheduled on September 2017. Kunming Tianfu Logistics Co., Ltd. is a well-known logistics company in the Yunnan Province, specialising in logistics and transportation services to large corporations within the region. The new equipment will join a fleet of four existing Kalmar reachstackers to support the company's growth in railway transport business. Mr. Li Yong, Manager of Kunming Tianfu Logistics Co. Ltd, said: "We truly appreciate the long-term reliability, high stability and low failure rate of Kalmar equipment, ensuring our business to operate efficiently. Efficiency is crucial in railway logistics where we need to meet the fixed train schedules. Equipment downtime can result in delays that lead to additional costs for us. Kalmar is a pioneer in equipment technology and we are very interested in this new K-Motion technology. We are confident that it can help us achieve significant cost savings and fuel reductions without compromising productivity." Huang Jianghuo, Area Manager of Kalmar South China, said: "As a market leader in reachstackers, Kalmar has never stopped innovating. Kalmar K-Motion is a combination of well proven transmission technologies, hydrostatic and mechanical drives, combined with smart programming, intelligent controls and a small, but highly efficient engine. This reduces fuel consumption and exhaust emissions, giving reductions of up to 40% without compromising drive and lift power." Kalmar K-Motion 2.0 uses a continuous variable transmission which provides smoother transition in shifts, drive stops and direction changes. This allows the operator to drive more precisely, resulting in increased safety levels.